New Hampshire Beer, by Brian Aldrich & Michael Meredith, 2014. 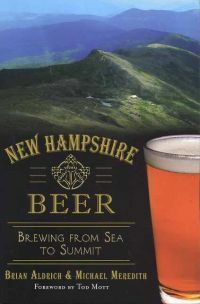 Subtitled "Brewing from Sea to Summit," this guide spotlights 20 of the top brew crafters in the Granite State, including, of course, our local Woodstock Inn Station & Brewery in North Woodstock. In this book two "beer scholars" explore all the tastes New Hampshire beer has to offer. Also includes brief descriptions of another 10 new, up-and-coming breweries. 128 pp., 6" X 9."